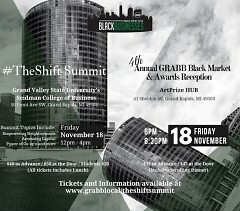 On Friday, November 18, Grand Rapids Area Black Businesses (GRABB) will host #TheShift Summit, featuring speaker Dr. Jessica Gordon-Nembhart on supporting African-American communities through innovative business models. More information available on Facebook or at grabblocal.com. Are you ready to make #TheShift? Jamiel Robinson wants to know. 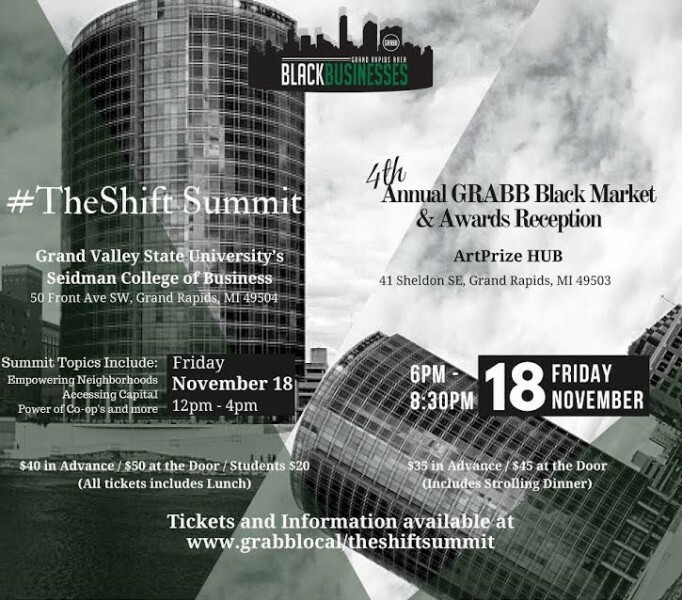 Robinson, founder of Grand Rapids Area Black Businesses (GRABB), is organizing #TheShift Summit, taking place Friday, November 18 at the Seidman College of Business on GVSU’s Grand Rapids campus. I spoke with Robinson at Icons Coffee Shop on Eastern Avenue, a Black-owned business, to learn more about the Summit. Author Dr. Jessica Gordon-Nembhard will be the featured speaker. Author of Collective Courage, a history of Black cooperative businesses, she will speak about co-ops and incremental community development. As Robinson explains, Blacks who begin businesses typically have difficulty getting loans, and so they begin under-capitalized. Gordon-Nembhard focuses on leveraging the collective wealth in the community to start cooperative businesses that are employee-owned or invested in by people of the neighborhood. The Summit will end with a town hall featuring Black organizers from nearby communities, followed by an Awards Reception hosted at the ArtPrize HQ, “a celebration of those who have been doing the work at the grassroots level consistently.” The Awards Reception will also feature the Fourth Annual Black Market where at least twenty different local entrepreneurs of color will offer wares for sale and demonstrations about their businesses. #TheShift is a hashtag that Robinson coined for “a shift in behavior, in mindset, in policy, in all the things that contribute to the condition that the African-American community find themselves in. … Any statistic that indicates success, we’re at the bottom of. How do we change that? We need a shift. From a business standpoint, #TheShift is about increasing our spending at our African-American businesses.” Robinson cited Dr. Maggie Anderson, author of Our Black Year, who estimated that “out of all Black spending, only 2 percent goes to African-American businesses. 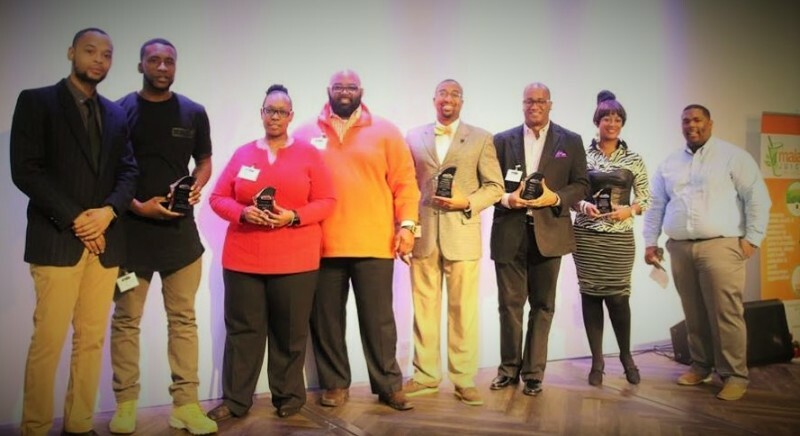 If you were to change that from 2 percent to 10 percent, just that small increase would create millions of dollars within African-American communities.” A directory of Grand Rapids Black-owned businesses is available on the GRABB website.